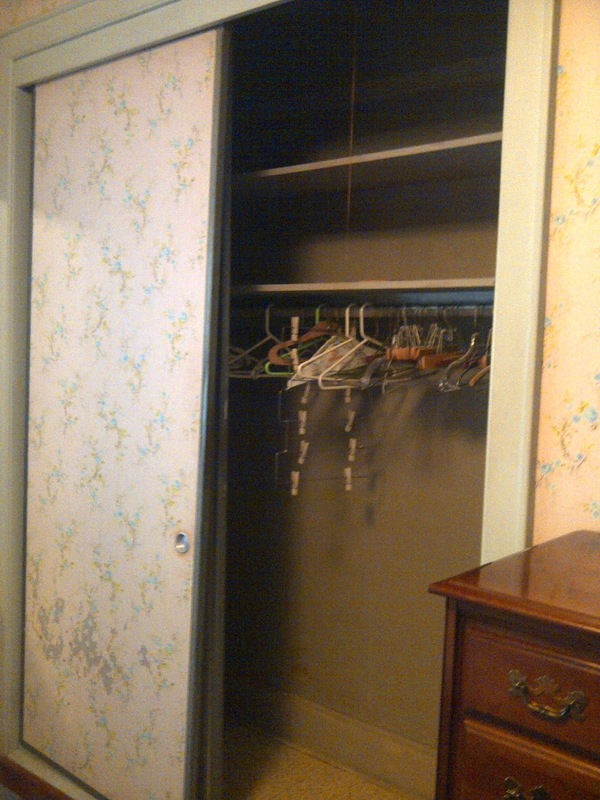 Master Closet: Sliding metal wallpapered doors are salvageable (more on that later), but need to be removed for right now. Yuck.. outdated VCT tile on the floor in here… That’s got to go! 2nd Bedroom/ Office Closet: This is a very small closet. Need to turn this into a functional, organized space with a better closet design. 3rd Bedroom: Same size as the master closet, but without sliding doors. Hmm.. I see a trend happening back then with painting the inside of closets two different colors??? 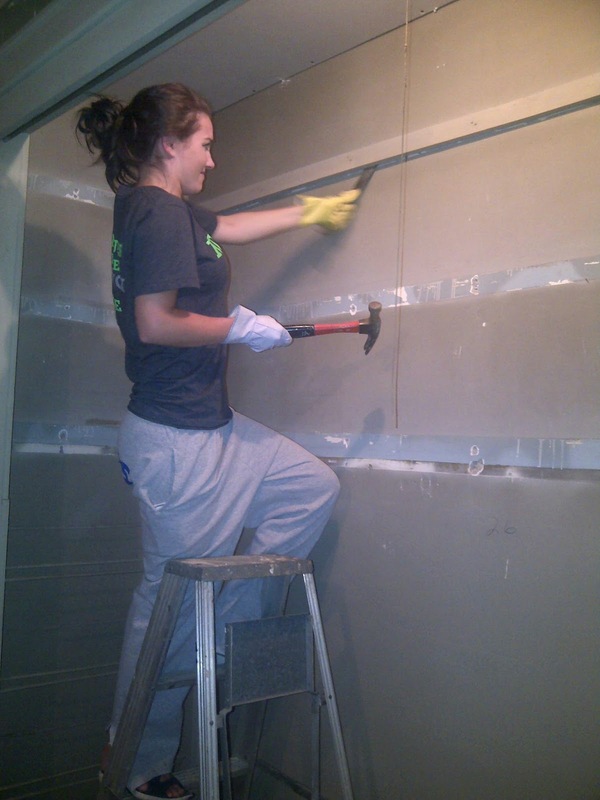 Now that all the shelving and supports are removed, closets are ready to go for preppin’ & muddin’! Let’s talk about plumbing… the water pressure was extremely bad when I first purchased this house.. almost dribbling out of the faucets. The house inspector said it was time to replace the plumbing after 83 years. Yea, you would think so!!! About time! The inside of the pipes were so bad that you could barely fit a toothpick through it. Ewwwwww. 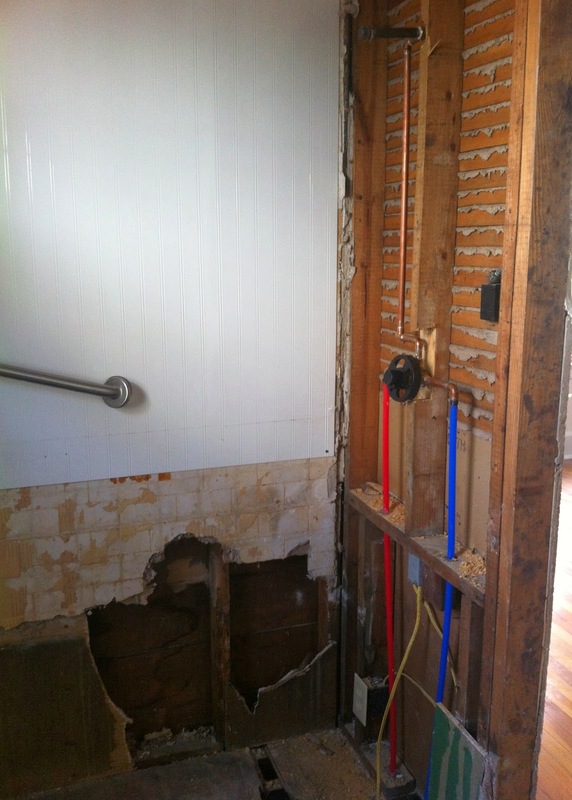 So all new plumbing is in, and now I have holes in the plaster walls. 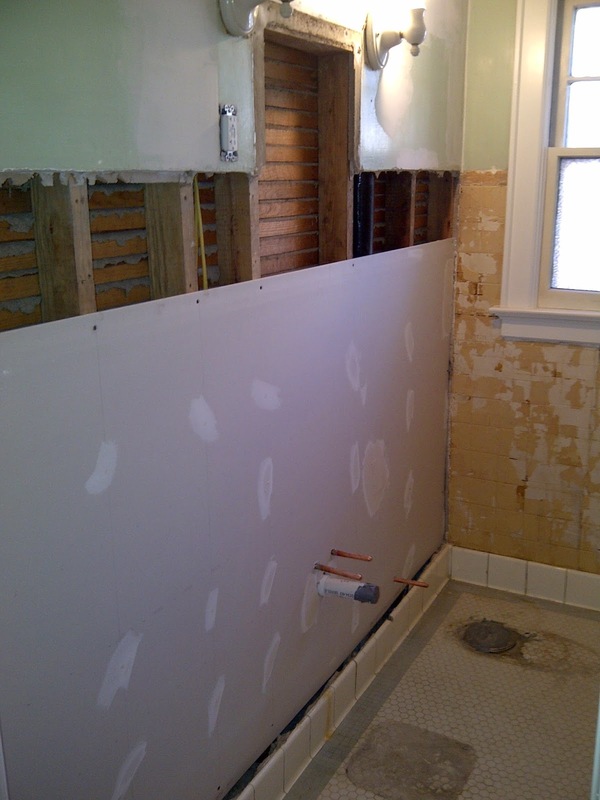 In the master bath, the brand new Premiere Care elderly tub is finally removed. I am selling this at a reasonable price, so please contact me if you are interested. In order to get the tub out, we had to remove the door trim..not a problem since the doorway was exceptionally small and I have a better solution for it to appear larger. The pipes for the shower had to be moved to an inside wall, since it is not to code to have pipes on an exterior wall due to the pipes possibly freezing. Called in my contractor to build this luxury walk–in shower with a seat. It’s all prepped and ready for tile J Can’t wait to show you what I picked out. Also, the small wall mount pedestal sink is out of here, it looks too commercial…need more counter space especially in a master bath. Onto the guest bathroom, the old pedestal sink in there was rusted and cracked, time for it to go. The guest bath originally just had a bath tub, so I had a shower installed. 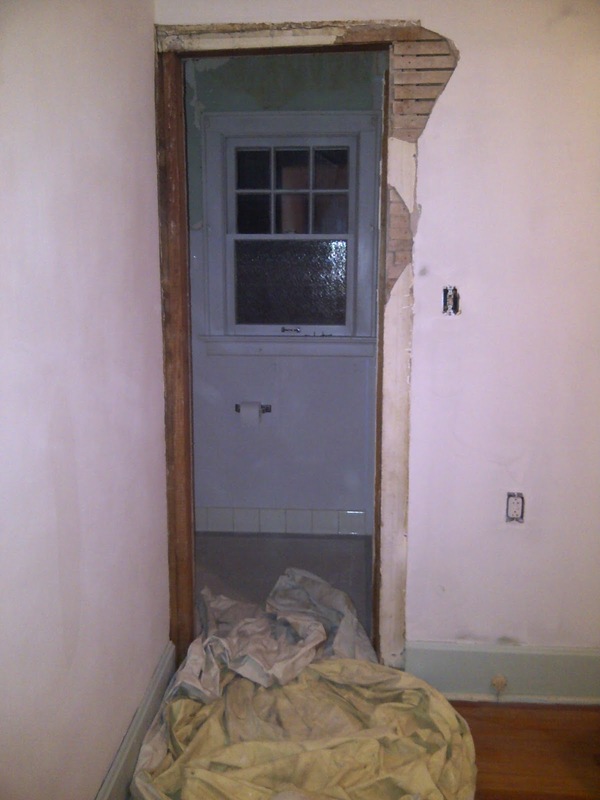 With big holes in the wall from the new plumbing and the medicine cabinet removed its demolition time in the bathroom!! Sheet rock is going up. Bathroom is ready to go for preppin’ & muddin’! 17 comments on "DEMOLITION TIME & NEW PLUMBING"
The setting of the different plumbing fixtures in a house during the architectural stage involves the knowledge of DHL Mechanical Radiant Heating experts engineering. 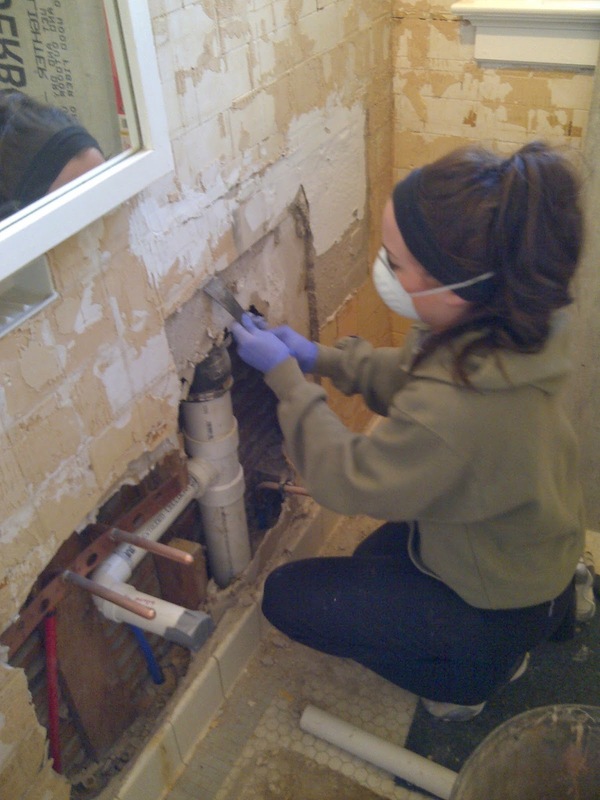 Plumbing engineering involves working at the ground level and with other home design professionals. The result is a joint effort to ensure that the home is as well organized as possible.